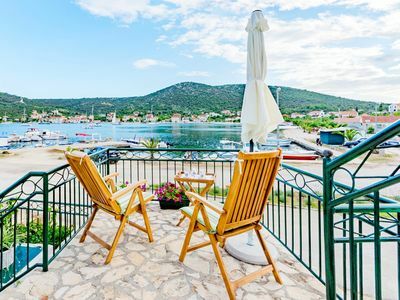 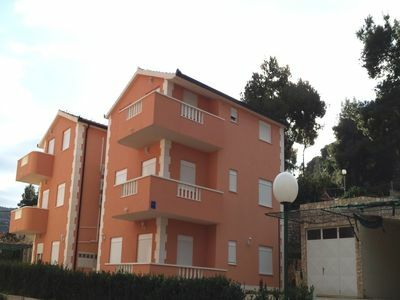 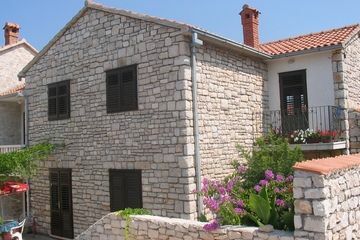 The apartment is situated correctly in town Rabac. 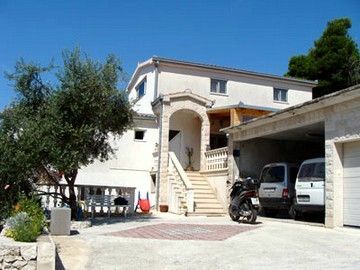 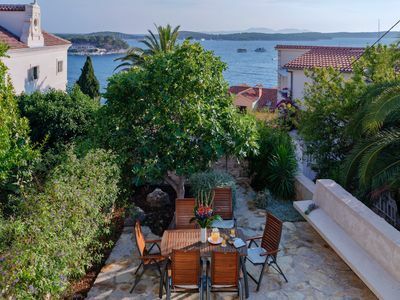 It is on a perfet location, at the same time close to the beaches, rural restaurants, sea promenades, but away from the noisy roads and traffic. 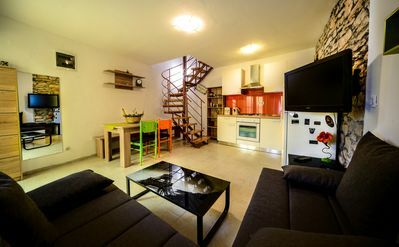 It is perfect for 4 persons in total. 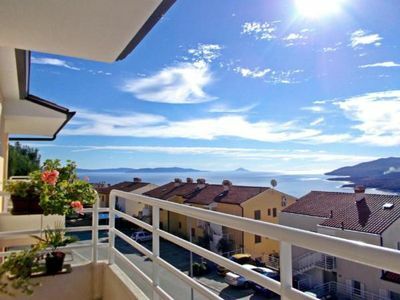 Offers you one bedroom with matrimonial bed, kitchen with dining part, living room with a sofa for 2 persons, bathroom with shower, and also an amazing terrace with sea and mountain view at the same time.